I know that this is a not so precise question because each one has its own point of view but, I would like to know what do you consider is the most beautiful planet in the SW universe. Also, there is anyone that know if there is a planet that is considered the most beautiful? 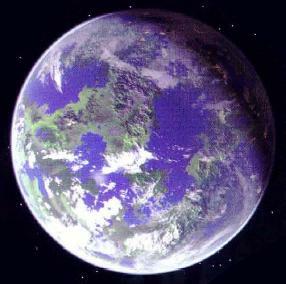 One of my favourite planets probably its Alderaan. But I have to say that Corelia seems pretty beautiful too. Alderaan…really? and which of the pieces is the one you like the most? I've always been a huge Corellia fan. Naboo is pretty nice too. And call me crazy, but sometimes, the dune sea on Tatooine can be pretty calming (as long as there aren't Sand People shooting you.) Hoth has some really cool ice formations and stuff on them too. But if I had to pick one, I'd say Corellia is the best. Not too over-the-top, and with a nice blend of cities and nature stuff. I recently discovered that Tanaab seems to be a really nice place (pirates not allowed). Of course Naboo seems awesome! Aside from the fact that the plants try to eat you I've become partial to Felucia, myself. Right now I fancy an ocean world of clear blue seas, coral reefs and tropical islands. I've always found Tatooine to be the most beautiful, always like the dunes, the canyons, and rock structures. Probably all goes back to that first time see it on the screen as a little boy. I'm not sure if this one counts, but my answer is Bespin. If I could live in any location from any movie, it would be Cloud City. Naboo for me: lush feilds, dense forests, artistic architecture, plenty of water . . . .
My favourite, after playing through SWTOR, is Voss. It's really pretty. The forest moon of Endor, not too bad, except for the savage teddy bears who like to poke you with thier sharp sticks when you are trying to sleep. My game takes place during the Dark Times era. Every time they save someone they bring them to safest planet in the galaxy, Alderaan. What better place could there be for a young refugee to grow up? It's got snowy mountains, green plains, beautiful rivers… place is like a resort, I tells ya. i have always thought Coruscant looks incredidle, especially at dusk from the high council chamber at the Jedi Temple. I was always kinda partial to Dantooine, at least as it was prior to the Jedi Civil War. Are we playing "Is it racist?" with this comment? The Ice. I **** love the ice and the fact that there is no one on it a part from Tauntaun and wampas. And **** it's white and all graceful. Don't forget the icetrompers and the ice cats. According to wookieepedia, "the planet's population was extremely loyal to Palpatine, and its behavior was pointed out as model Imperial behavior. The capital city of Curamelle was also home to the Corulag Academy, an Imperial military academy." It had a population of about 15 billion, looks beautiful, did lots of military research and industry, and had a Stormtrooper academy. As an Imperial loyalist, that's beautiful! "Come to beautiful, swampy polluted Nal Hutta deep in Hutt Space. Hal Hutta, it's not just smelly, it's toxic."